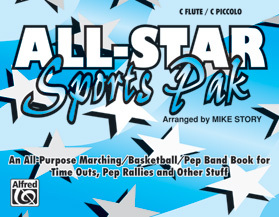 This is an absolutely super collection of short, easy arrangements for marching or pep band! Mike Story has selected some of the hottest tunes around...tunes that every fan will recognize...and has crafted arrangements that are short, to the point, and exactly what you need to energize the crowd! Parts are included for synthesizer, electric bass and drum set to give your group a really up-to-date sound. 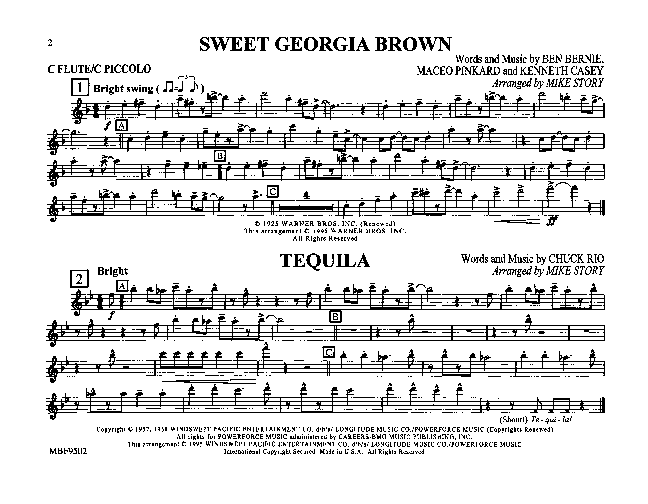 Easy and full-sounding, these mini-charts are conveniently printed in a lyre-size book. 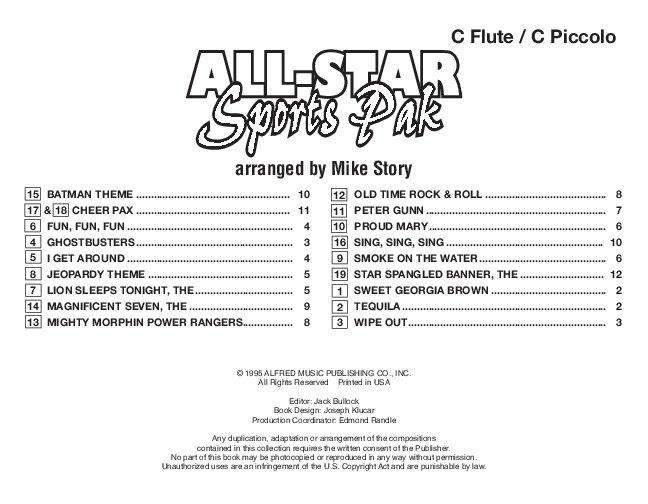 Songs include: Sweet Georgia Brown; Tequila; Wipe Out; Ghostbusters; I Get Around; Fun, Fun, Fun; The Lion Sleeps Tonight; Jeopardy Theme; Smoke On The Water; Proud Mary; Peter Gunn; Old Time Rock & Roll; Mighty Morphin Power Rangers; The Magnificent Seven; Batman Theme; Sing, Sing, Sing; Cheer Pax and The Star Spangled Banner.